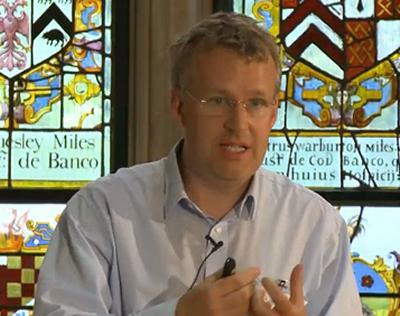 Professor Jon Forster is Head of Mathematical Sciences and Professor of Statistics at the University of Southampton. I have a range of interests in methodological and computational statistics. Particular interests include statistical inference and prediction under model uncertainty, and statistical inference for categorical data, including discrete graphical models. I have also worked in a wide range of application areas. Most recently I have focussed on applications in credit risk and in demographic estimation and forecasting, particularly mortality and migration. I am a member of the modelling team of the ESRC Centre for Population Change. Migration is one of the most uncertain population processes, lacking an overarching theoretical and conceptual background. The project will fill important gaps in our knowledge on migration by developing innovative statistical and computational migration models. Wong, J. S. T., Forster, J. J., & Smith, P. W. F. (2017). Bayesian mortality forecasting with overdispersion. Insurance: Mathematics and Economics. Forster, J. J. (2003). Efficient construction of reversible jump Markov chain Monte Carlo proposal distributions - Discussion. Journal of the Royal Statistical Society: Series B (Statistical Methodology), 65(1), 47-48. Forster, J. J. (2000). Invariance and factorial models - Discussion. Journal of the Royal Statistical Society, B, 62(2), 242-243. Smith, P. W. F., McDonald, J. W., Forster, J. J., & Berrington, A. M. (1996). Monte Carlo exact methods used for analysing interethnic unions in Great Britain. Journal of the Royal Statistical Society: Series C (Applied Statistics), 45(2), 191-202. Forster, J. J., McDonald, J. W., & Smith, P. W. F. (1996). Monte Carlo exact tests for log-linear and logistic models. Journal of the Royal Statistical Society. Series B (Methodological), 58(2), 445-453. Smith, P. W. F., Forster, J. J., & McDonald, J. W. (1996). Monte Carlo exact tests for square contingency tables. Journal of the Royal Statistical Society: Series A (Statistics in Society), 159(2), 309-321. Forster, J. J. (1994). A Bayesian approach to the analysis of binary crossover data. Journal of the Royal Statistical Society: Series A (Statistics in Society), 43(1), 61-68. Forster, J. J. (1993). The Gibbs sampler and other Markov chain Monte Carlo methods - Discussion. Journal of the Royal Statistical Society. Series B (Methodological), 55(1), 63-64. O'Hagan, A., & Forster, J. J. (2004). Kendall's Advanced Theory of Statistics, volume 2B: Bayesian Inference, second edition. London, UK: Arnold. Dellaportas, P., Forster, J. J., & Ntzoufras, I. (2000). Bayesian variable selection using the Gibbs sampler. In D. K. Dey, S. K. Ghosh, & B. K. Mallick (Eds. ), Generalized Linear Models: A Bayesian Perspective (pp. 273-286). (Biostatistics; No. 5). New York, USA: Chemical Rubber Company Press. Lecomte, C., Forster, J. J., Mace, B. R., & Ferguson, N. S. (2012). Bayesian identification of structural parameters of hybrid mid-frequency systems. Paper presented at 4th International Conference on Uncertainty in Structural Dynamics (USD2012), Belgium. Lecomte, C., Forster, J. J., Mace, B. R., & Ferguson, N. S. (2012). Bayesian parameter estimation at mid-frequency from transfer function measurements. Bayesian Workshop 2012 - Application of Bayesian Methods in Structural and Vibro-acoustic Dynamics, . Lecomte, C., Forster, J. J., Mace, B. R., & Ferguson, N. S. (2010). Bayesian inference for uncertain dynamic systems. In M. J. Brennan, I. Kovacic, V. Lopes, K. Murphy, B. Petersson, S. Rizzi, & T. Yang (Eds. ), Recent Advances Structural Dynamics: Proceedings of the X International Conference (pp. 13pp). Southampton, GB: University of Southampton. Lecomte, C., Mace, B., Forster, J., & Ferguson, N. (2010). Bayesian localisation of damage in a linear dynamic system. Paper presented at USD2010 International Conference on Uncertainty in Structural Dynamics, Belgium. Forster, J. J., & European Commission (2006). Bayesian methods for disclosure risk assessment. In Monographs of Official Statistics: Work session on Statistical Data Confidentiality (pp. 99-108). Luxembourg: Office for Official Publications of the European Communities. Ntzoufras, I., Dellaportas, P., & Forster, J. J. (1999). Specification and interpretation of prior distributions for variable selection in linear models. In E. A. Lipitakis (Ed. ), Proceedings of the Fourth Hellenic-European Conference on Computer Mathematics and its Applications (pp. 451-458). Athens, Greece: LEA. Ntzoufras, I., Dellaportas, P., & Forster, J. J. (1997). A comparison of Markov chain Monte Carlo methods for log-linear model selection. In E. A. Lipitakis (Ed. ), Proceedings of the 3rd Hellenic-European Conference on Mathematics and Informatics (pp. 506-514). Athens, Greece: LEA. Ellison, J., Forster, J., & Dodd, E. (2018). Forecasting of cohort fertility under a hierarchical Bayesian approach. University of Southampton. Dodd, E., Forster, J., Bijak, J., & Smith, P. W. F. (2018). Stochastic modelling and projection of mortality improvements using a hybrid parametric/semiparametric age-period-cohort model. University of Southampton. Abel, G. J., Bijak, J., Forster, J. J., Raymer, J., & Smith, P. W. F. (2010). Bayesian population forecasts for England and Wales. (Joint Eurostat/UNECE Work Session on Demographic Projections; No. WP37). Statistical Office of the European Union (EUROSTAT). Consonni, G., Forster, J. J., & La Rocca, L. (2010). Enhanced objective Bayesian testing for the equality of two proportions. (S3RI Methodology Working Papers; No. M10/13). Southampton, GB: Southampton Statistical Sciences Research Institute. Ghosh, M., Song, J., Forster, J. J., Mitra, R., & Mukherjee, B. (2010). On the equivalence of posterior inference based on retrospective and prospective likelihoods. Southampton, GB: University of Southampton. Abel, G. J., Bijak, J., Forster, J. J., Raymer, J., & Smith, P. W. F. (2010). What do Bayesian methods offer population forecasters? (pp. 1-26). (ESRC Centre for Population Change Working Paper; No. 6). UK: ESRC Centre for Population Change. Forster, J. J. (2009). Bayesian inference for Poisson and multinomial log-linear models. (S3RI Methodology Working Papers; No. M09/11). Southampton, UK: Southampton Statistical Sciences Research Institute. Dellaportas, P., Forster, J. J., & Ntzoufras, I. (2009). Specification of prior distributions under model uncertainty. (S3RI Methodology Working Papers; No. M09/10). Southampton, UK: Southampton Statistical Sciences Research Institute. Forster, J. J., & Webb, E. L. (2007). Bayesian disclosure risk assessment: predicting small frequencies in contingency tables. (S3RI Methodology Working Papers; No. M07/05). Southampton, GB: University of Southampton.